It is common knowledge that liberals dominate America’s college campuses. What people may not be aware of is that the indoctrination is starting earlier and earlier, and not just in high school, but middle and even elementary schools. After all, all of those education majors have to have somewhere to go. With the advent of a more culturally diverse student body comes the “necessity” of diversity training. Best to get those young skulls full of mush as soon as possible, to make sure said mushy skulls are gotten right when it comes to matters of race and ethnicity. The shooting of nine innocent people at a Bible study at Emmanuel AME Church in Charleston, South Carolina has horrified the nation. Most would agree that evil has not been visited upon this nation in such a way since 9/11. Twenty-one year old Dylann Roof has confessed to the horrific crime and has been charged with nine counts of murder and one count of possession of a firearm. An obviously deeply disturbed young man with a history of drug abuse and possible mental issues claimed his motive for the shootings was to start a race war. One would think that having come of age during the presidency of the nation’s first black president, Roof and his contemporaries would be subjected to a virtual smorgasbord of diversity education, beginning from the time he entered kindergarten until he dropped out of high school in 2010. And in South Carolina public schools, he most certainly was. In an interview with CNN, Carson Cowles, an uncle of Roof’s said that of course the family was devastated by what had happened, and insisted that Roof’s mother “never raised him to be like this”. But at almost the minute Dylann Roof hit the schoolhouse door, his “training” began. According to studies cited by the National Crime Prevention Council, “tolerance education” is most effective between the ages of 4-9. The study also claims that most children have formed stereotypes by the age of 12. In many states, including South Carolina, the South Carolina Bar Young Lawyers Division conducts tolerance programs for third and fourth graders. At a website called GreatSchools.org, high school history teachers, when talking about the Vietnam War to their students, are encouraged to “draw attention to perspectives” of the North as well as the South Vietnamese people, the feelings of soldiers on both sides, and the differing views on the war of the American people. No word on whether or not teachers are encouraged to discuss differing views of World War II from the perspective of both the Nazis and the Jews. 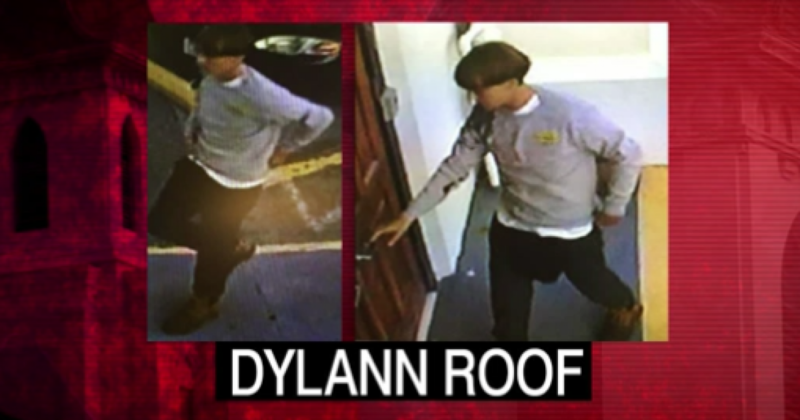 So where did all of this diversity training go wrong with Dylann Roof? He was absolutely exposed to it. Could it be that all of the good intentions of the liberal educational system were no match for what was simply in Roof’s heart? The thought of the Left, including the president, is that somehow racism can be “cured”. Makes sense for people who view many things that really are not, diseases. Dylann Roof’s beliefs came from a part of the human condition. Unfortunately, racism can’t be cured like a bout of the measles. What can happen is that good people of all races can stand together when they see it, and shine a very bright light on it so it can go nowhere else. Dylann Roof is a reminder that the best lessons are often found outside the classroom.